﻿ Book Royal Decameron Montego Beach Resort - ALL INCLUSIVE (Montego Bay) - 2019 PRICES FROM $280! The all-inclusive Royal Decameron Montego Beach is on a private beach, just a 5 minute drive from Sangster International Airport. It offers an outdoor pool, gym, spa and airy rooms with great views. Each air-conditioned room Royal Decameron Montego Beach Resort features a private balcony or terrace, cable TV and a rental safe. The stylish bathroom includes a bathtub, shower and hairdryer. The Passa Passa Restaurant serves buffet cuisine, while the Souk restaurant offers international and Jamaican fusion cuisine. The complex also has a beach bar and grill, a swim-up bar and a nightclub. 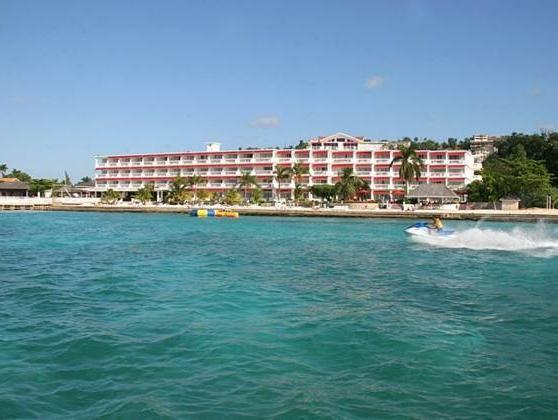 The Royal Decameron is one mile from central Montego Bay, where you can find a range of popular shops and bars. Free parking is available on site, and resort staff can arrange local area excursions.